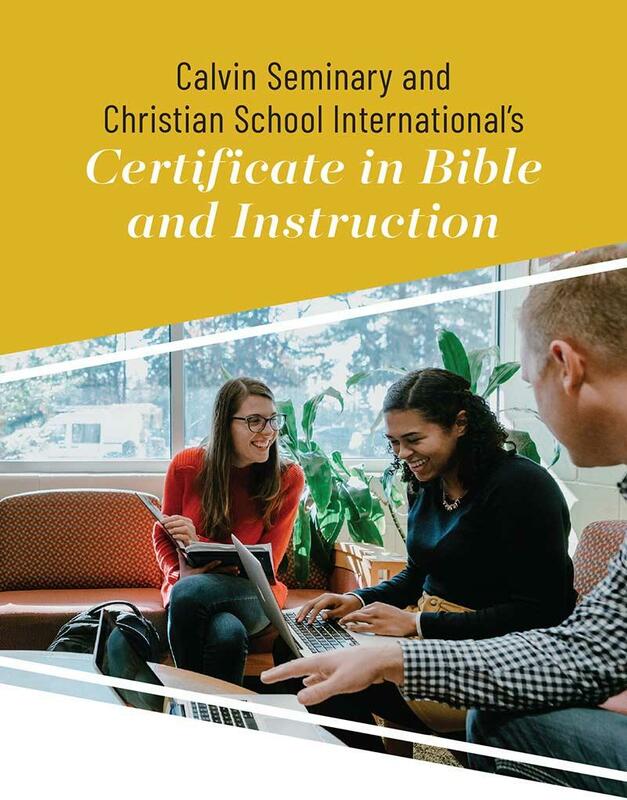 Christian Schools International and Calvin Theological Seminary are very excited to announce that they are partnering together to offer Christian school Bible teachers at CSI member schools an amazing opportunity. 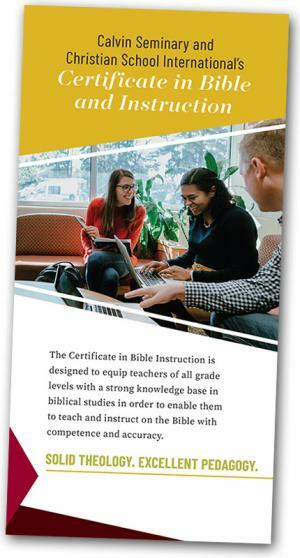 Available summer 2019, teachers will be able to enroll in an online program at Calvin Theological Seminary for a graduate certificate in Bible instruction. The fully online, 15-credit program has courses that have been carefully selected with the K–12 Christian school Bible teacher in mind. Additionally, with year-round courses available, including summer options, and the opportunity for scholarships, the certificate program is designed to fit the full lives of teachers. This program is the result of very intentional discussions and feedback CSI has been having with administrators and Bible teachers in their member schools.